Oh Adult Swim you've done it yet again with your latest billboard. 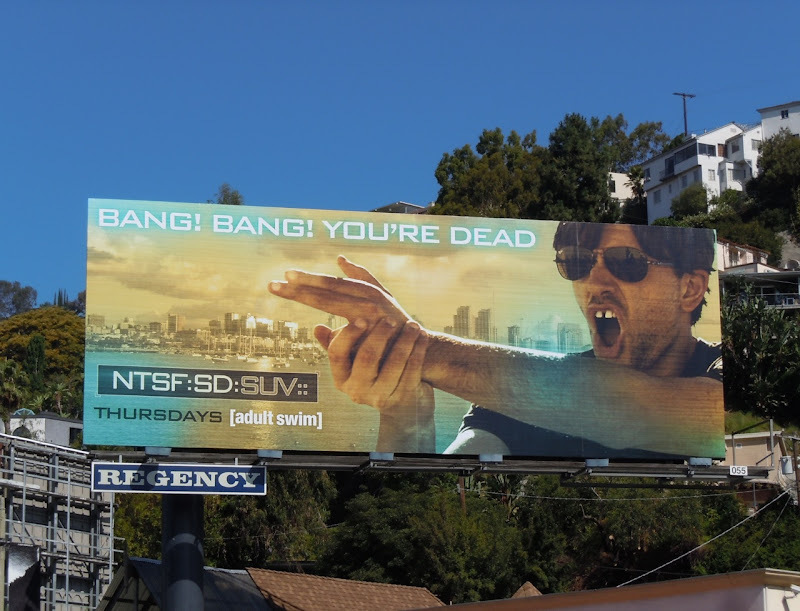 From simple origins as a parody commercial featured on the channel's Childrens Hospital comedy, to its own spin-off show, NTSF:SD:SUV. 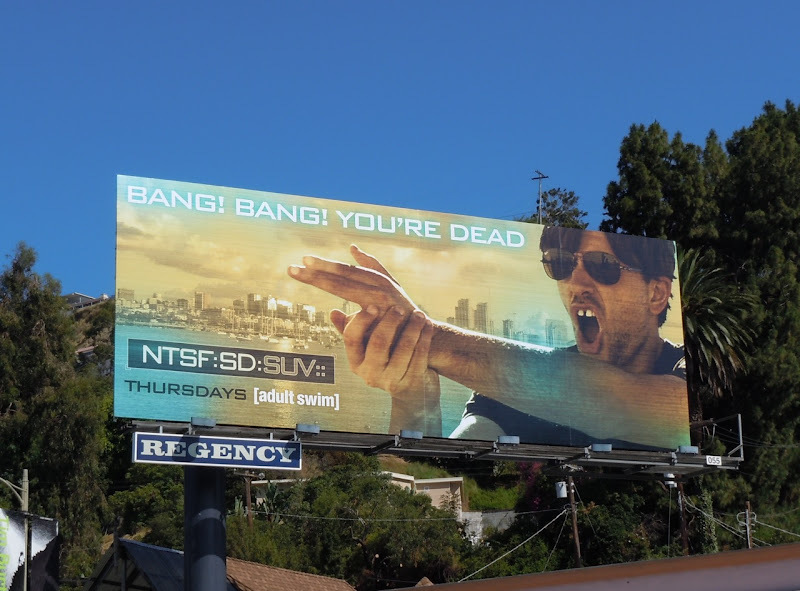 As you can see from the title, the show parodies the never-ending glut of crime procedural shows on television and the billboard even echoes the stylistic look of many of the series opening sequences. 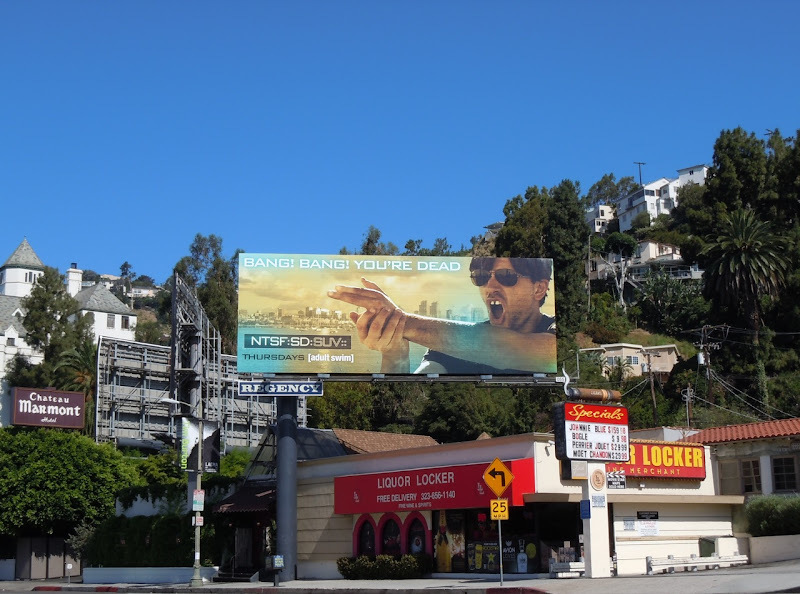 This very clever billboard was snapped along Sunset Boulevard near L.A.'s infamous Chateau Marmont Hotel on July 17, 2011. 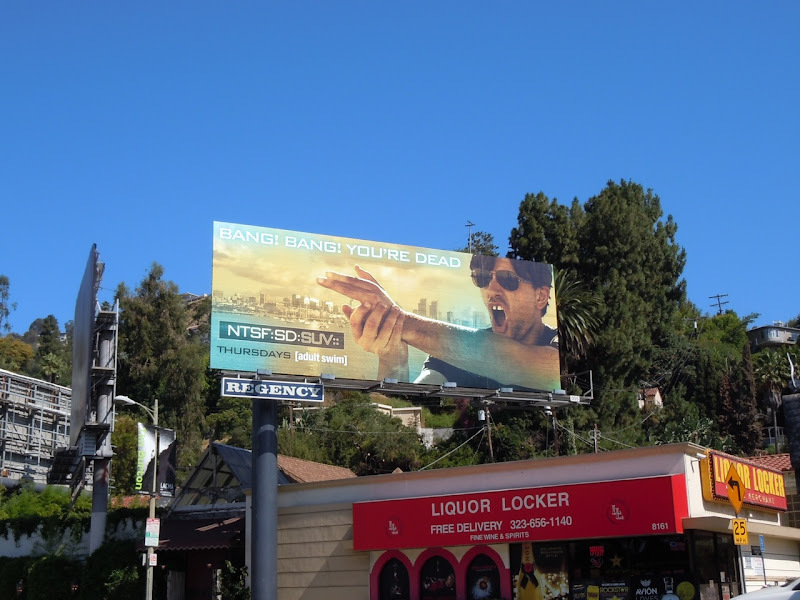 If you want to smile even more, be sure to check out previous Adult Swim TV billboards that have graced this location.